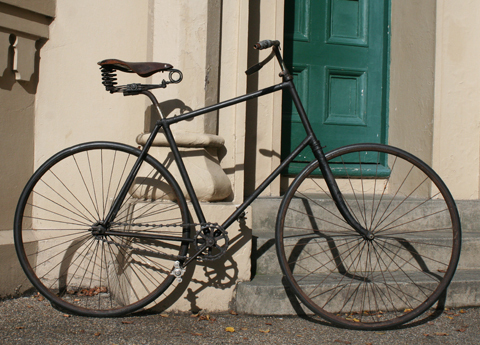 The 1890s was the most interesting decade in bicycle evolution, as well as in vehicle history. Every year saw major design changes and new inventions. 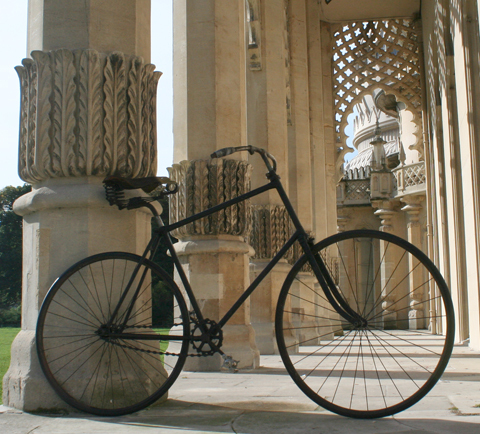 This was the first ‘bicycle boom’ when this innovative form of transport really exploded upon society. 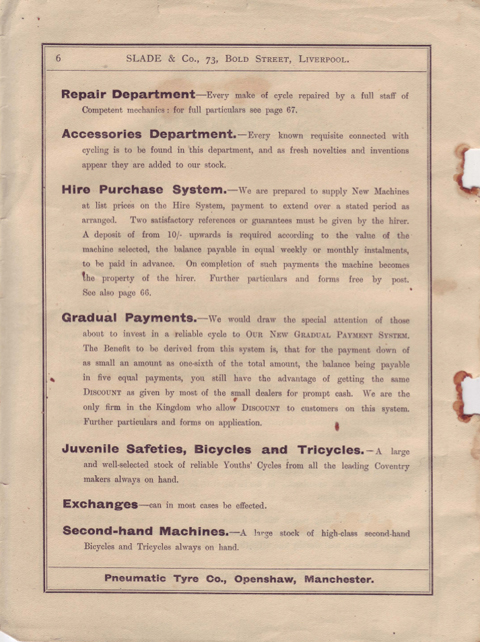 The money generated by bicycle sales created an ‘industrial revolution’ turning local engineers and machine shops into new businesses as bicycle and component manufacturers. Suddenly there was work for all! Within ten years, following the enormous optimism that everyone felt at the dawn of the twentieth century, many of those same companies evolved into the motorcycle and automobile manufacturers that we know today. 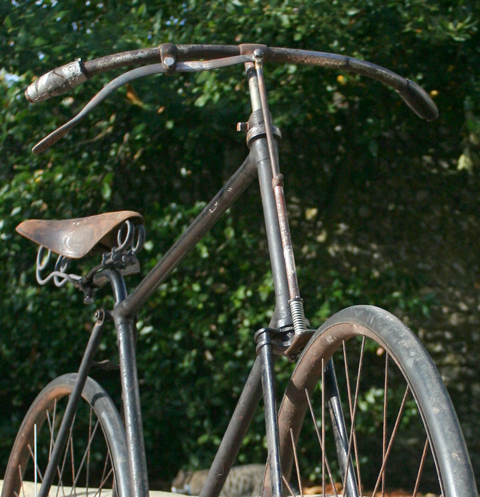 The design of this fabulous safety bicycle was the dominant style of 1893/1894. 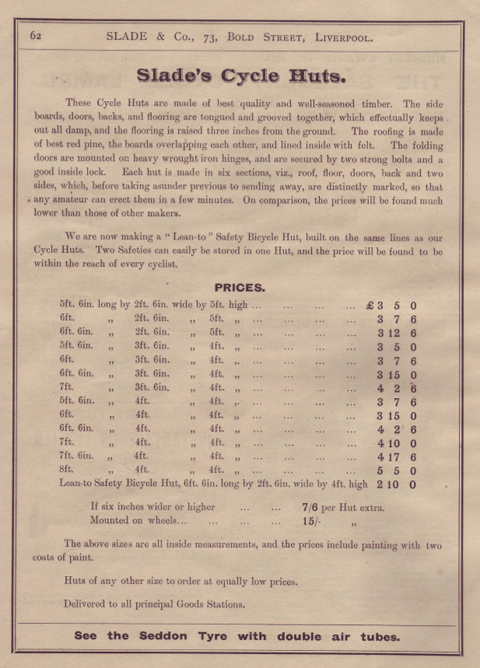 Pneumatic ‘cushion’ tyres had only recently started to be fitted, and were an option for most British bikes at this time, as you can see from the catalogue illustration above. However, they cost an extra 4 guineas (a guinea was initially a gold coin in use between 1663 and 1813, whose value was £1 1/-), and very few customers chose them. When you consider that would have been nearly 25% extra on top of its purchase price, you can see why this particular example was fitted with solid tyres. 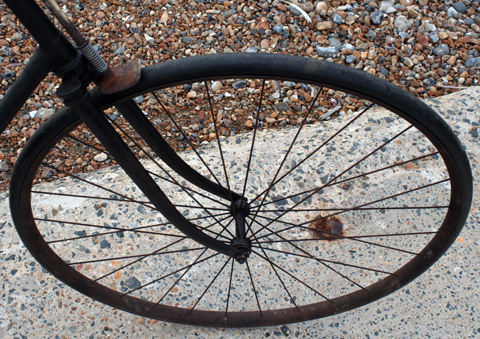 Though C. Macintosh invented cushion (pneumatic) tyres for bicycles in 1884, this innovation took a while to catch on, as they were very expensive at first. 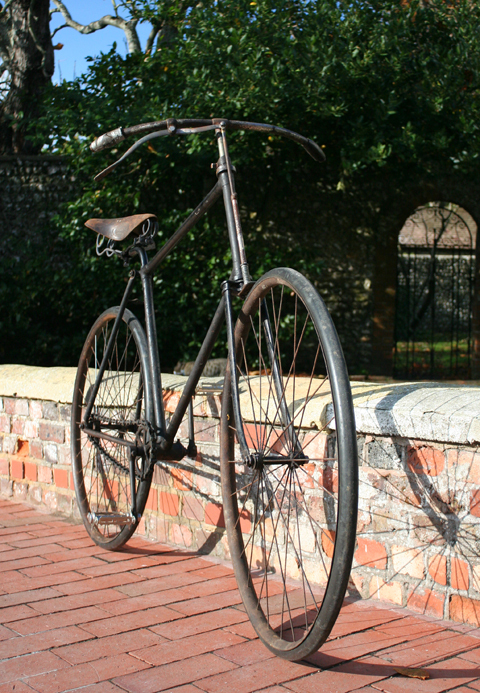 Though an option in 1893/1894, most bikes sold still had solid tyres. 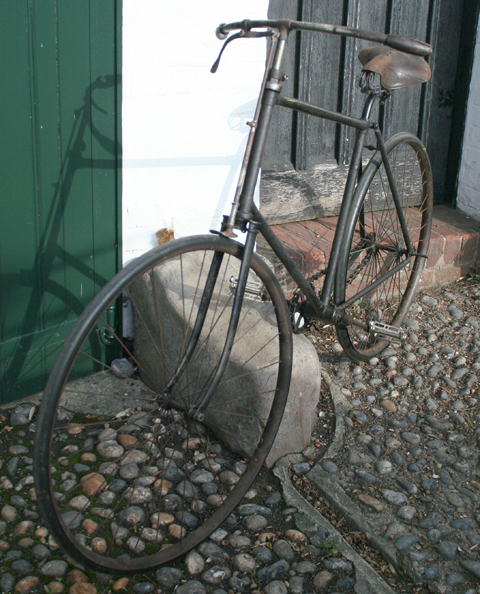 But, by 1896/1897, pneumatic tyres had come down in price and practicality sufficiently to be fitted to the majority of bikes. 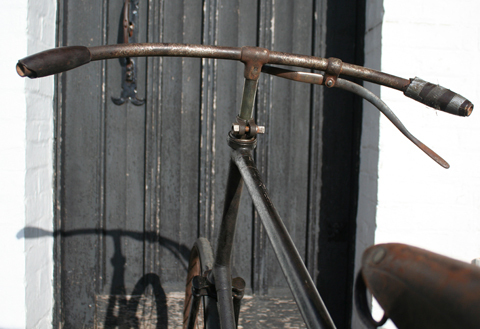 Although bicycles were still expensive at this time, don’t forget that in 1893 bicycles and tricycles were the only form of transport besides horses and horse-driven vehicles! 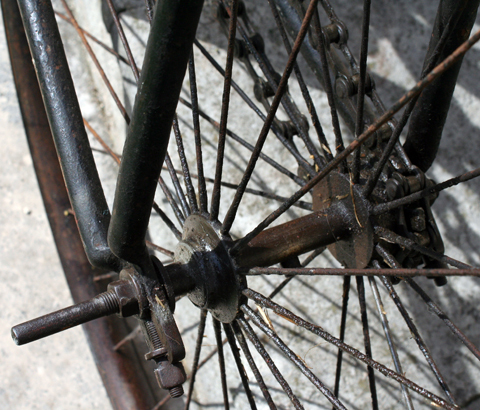 This safety bike is a fascinating example of pre-motorized transport and is fully functional. 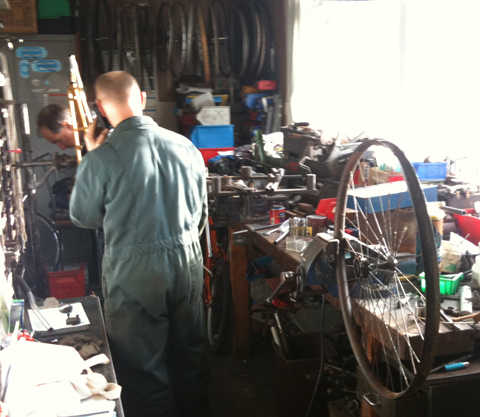 I took it up to Doug Pinkerton near Birmingham for a full service and mechanical restoration. 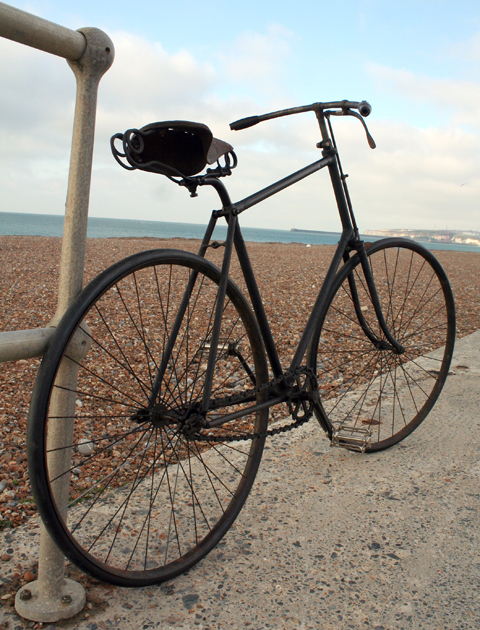 He stripped and cleaned all the mechanical components, and rebuilt the wheels and brake. 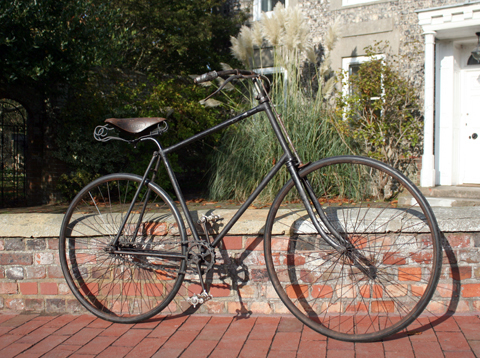 Enoch John West started at Singer Cycle Co and joined up with the Calcotts to form Calcott Bros & West in 1888 (or 1886 according to other sources). 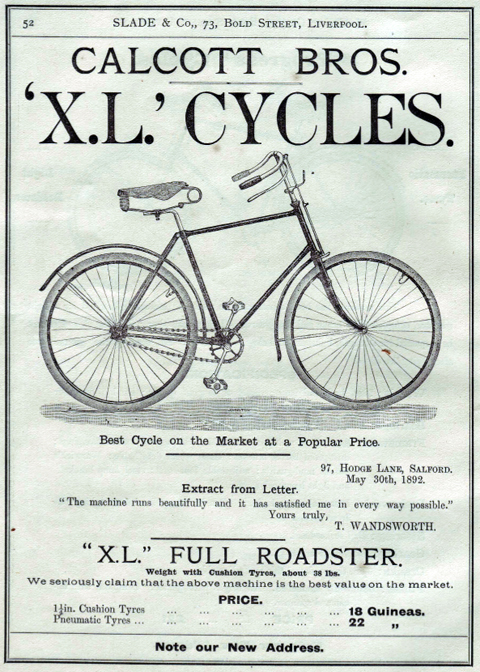 The company sold ‘XL’ cycles from their premises in Much Park Street, and subsequently at Far Gosforth St Works. 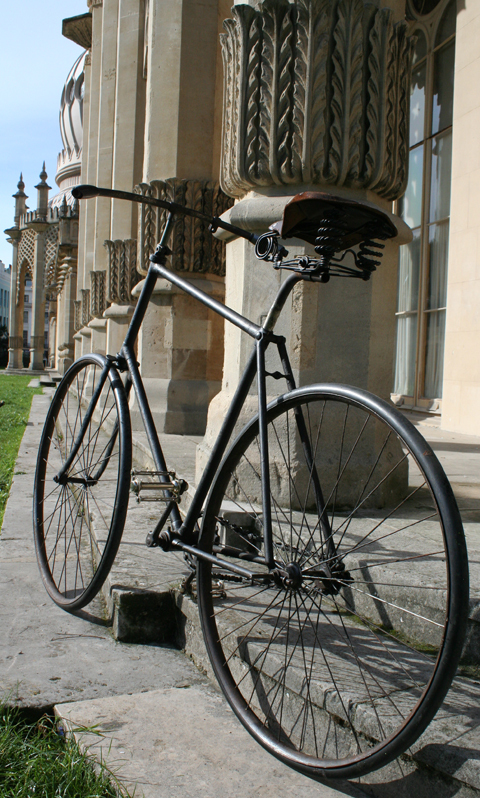 By 1891, they were offering eight models. E.J West left at the end of that year to set up his own company E.J. 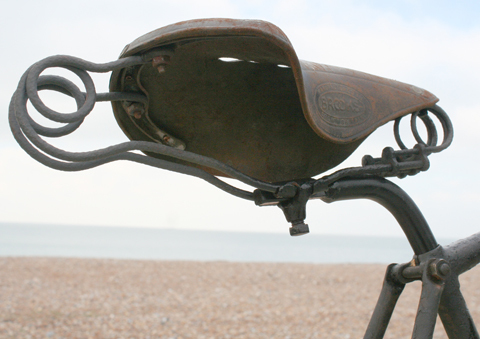 West & Co Ltd, and in 1897 began designing cars, quadricycles, tricycles and motorcycles. 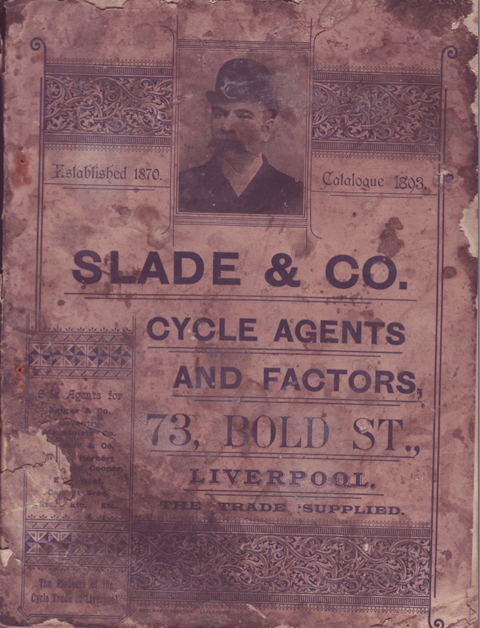 (He also manufactured under the name of Progress Cycle Co). 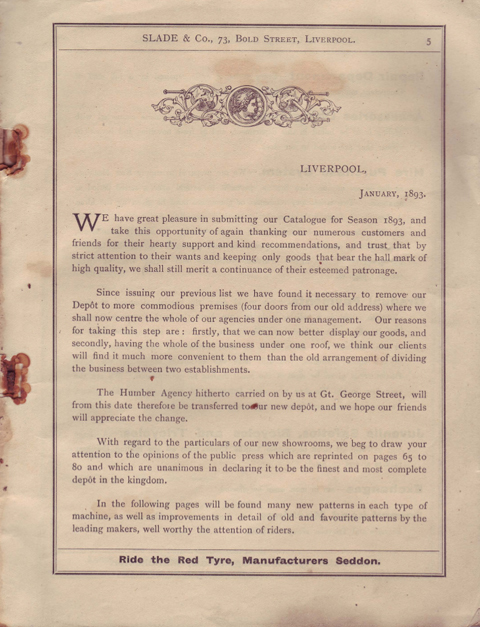 The company went on to produce over five hundred vehicles (of which there are three survivors still running) before going into liquidation in November 1903. 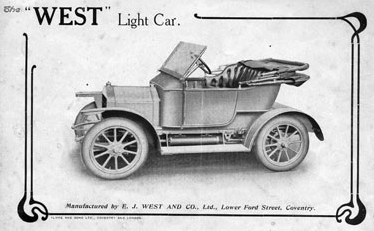 He nevertheless continued making cars, including the ‘West’ Light Car and others. 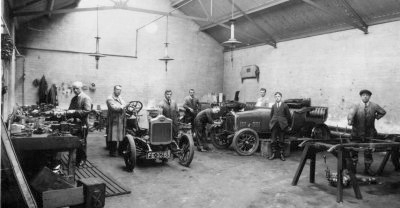 In 1915, became a manager at the White and Poppe engine works in Coventry. 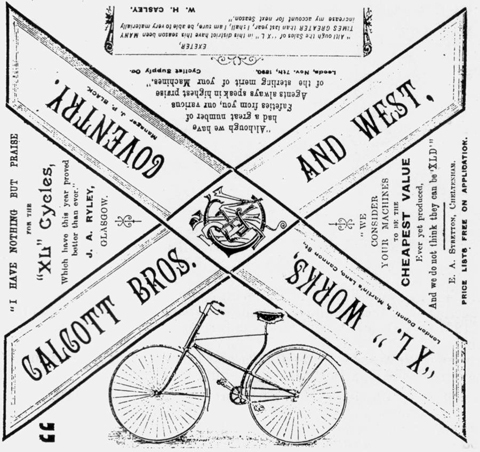 Without West, the company name changed to Calcott Bros. In 1911 they manufactured a motorcycle fitted with a 3.5hp White and Poppe engine and, in 1913, made their first light cars. 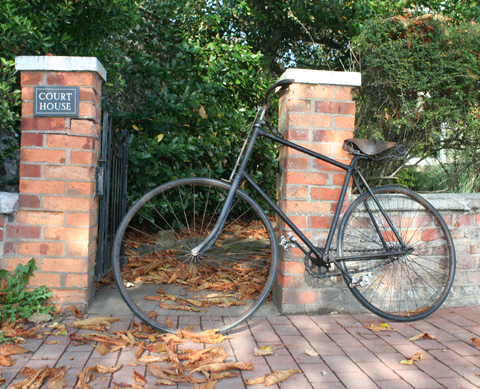 Bicycle production stopped at this time. The company apparently produced some 2,500 vehicles before eventually being taken over by the Singer Company in 1926. 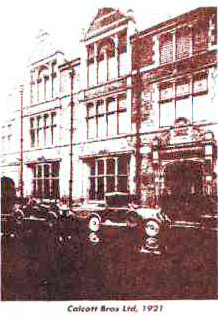 Below, you can see the Calcott premises in the early twenties. 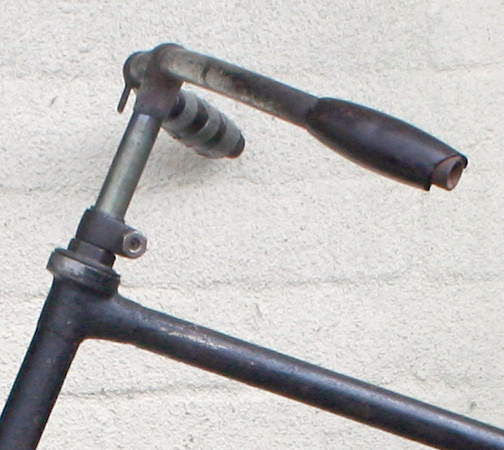 It has wide crescent handlebars, with rare horn grips. The right grip is damaged, but these are so rare I won’t replace them. 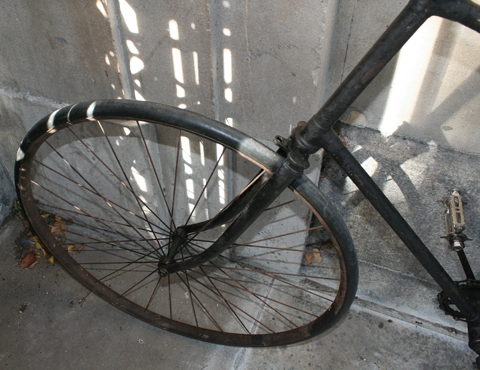 Safety bikes at this time were fixed-wheel models. 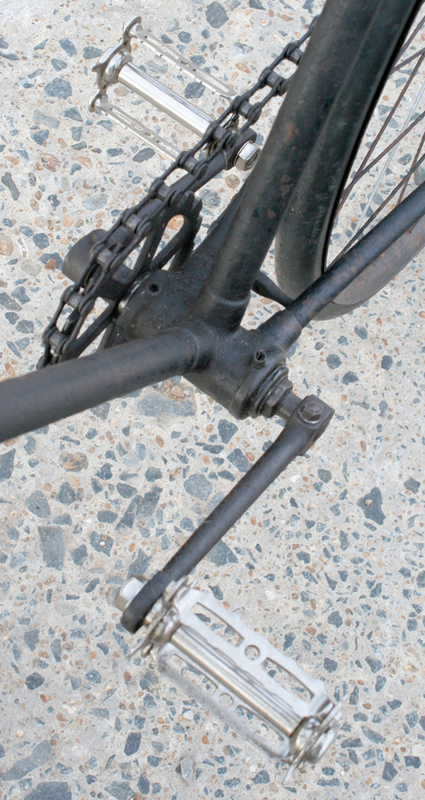 The pedals are correct for this bicycle. However, someone at some time has nickel-plated them. 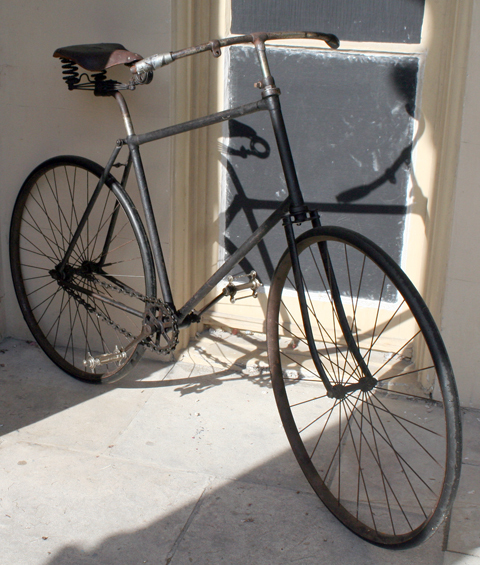 It is very hard to find bicycles of this age that still retain their original paint. Although the paint on this one looks original, it may have been repainted a very long time ago. 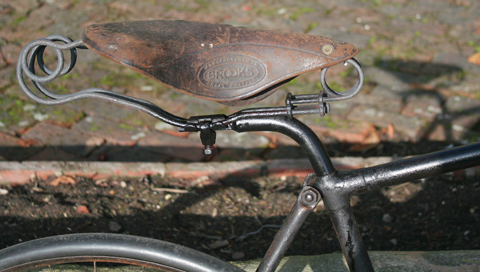 As you can see from the catalogue illustration at the top of the page, mudguards were fitted. 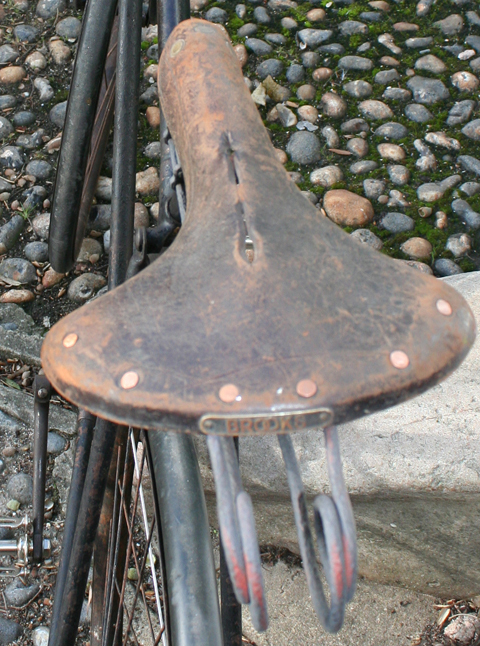 You can see the rear mudguard fitment on the rear seat stays in the picture below. 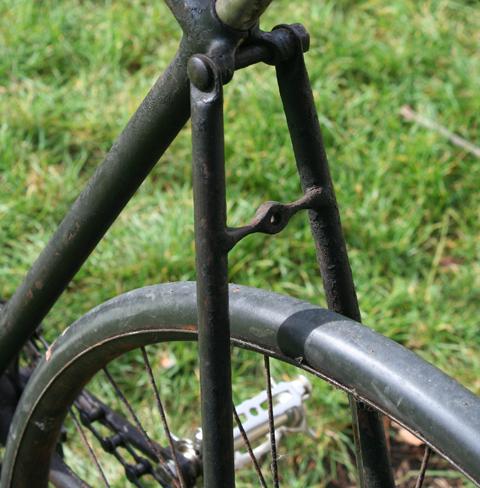 I don’t have mudguards for it, but it is possible to have willow bent to shape to make wooden mudguards. 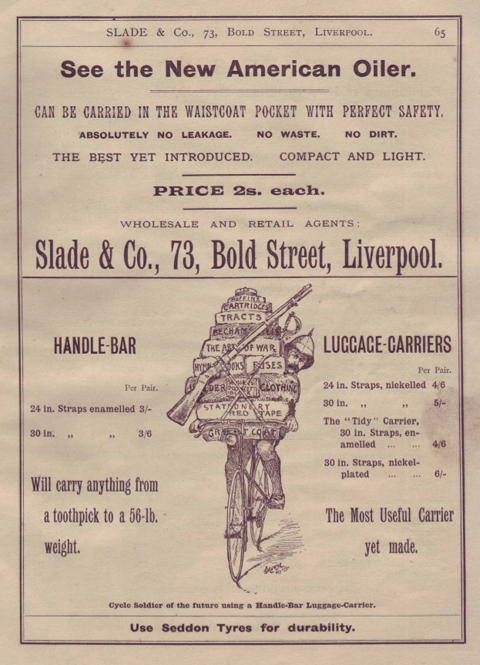 Slade & Co of Liverpool advertised and sold safety bicycles and tricycles from various leading manufacturers, including Calcott. 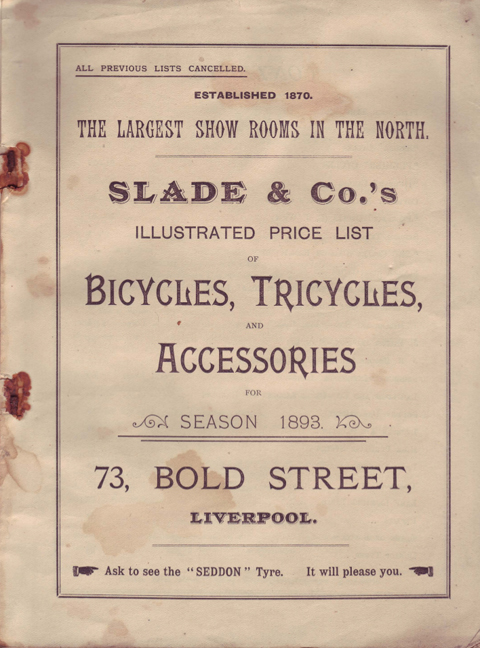 This is their 1893 catalogue. 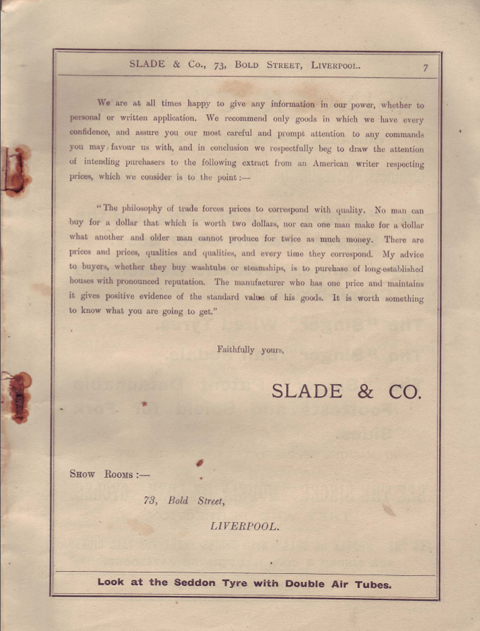 Slade & Co also sold wooden cycle huts. For an extra 15/- you could buy one mounted on wheels. 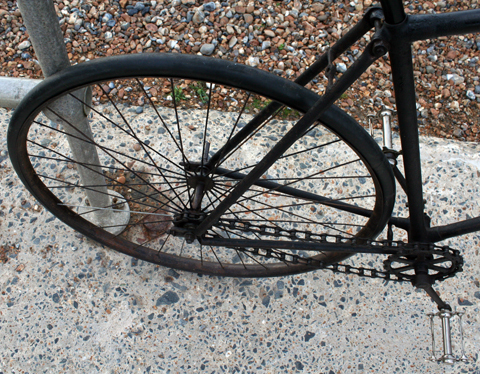 I took these three pictures before the bike was restored. 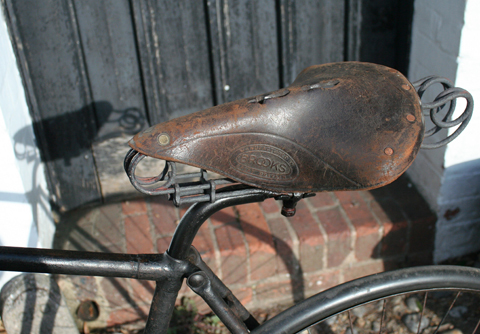 A front brake and correct saddle have since been fitted. I’ve spent a lot of time and effort on this old safety, and have enjoyed learning about them in the process. 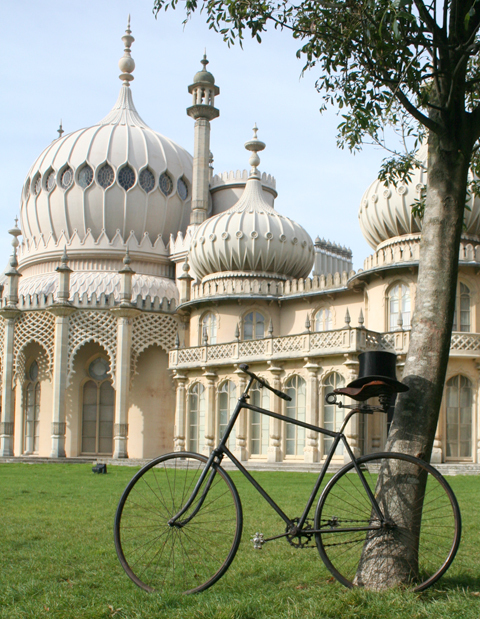 As a result, instead of being hidden away in the museum where I bought it, this interesting 117-year-old machine can now ridden and enjoyed once again. 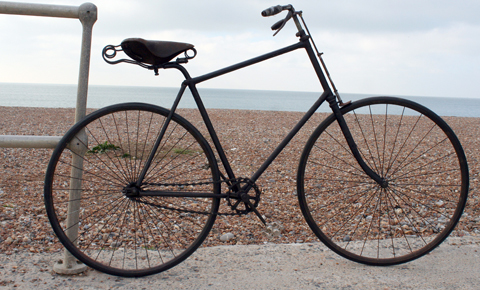 Although it would be two or three more years before safety bikes developed into the diamond frame style we are familiar with today, by the 1890s they were already small enough to enable ordinary folks to use them. 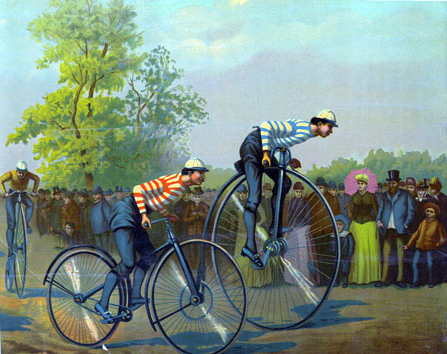 Previously, of course, only athletic fellows could ride high wheelers, as seen in the 1891 picture above, comparing the two styles. An interesting footnote to the above observation is that, once again, safety bikes find increased favour among cyclists. 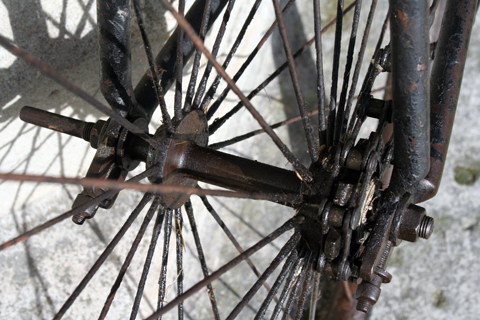 High wheelers enthusiasts have enjoyed riding them ever since they originally went out of fashion – in the early 1890s, because of the introduction of the safety bike. 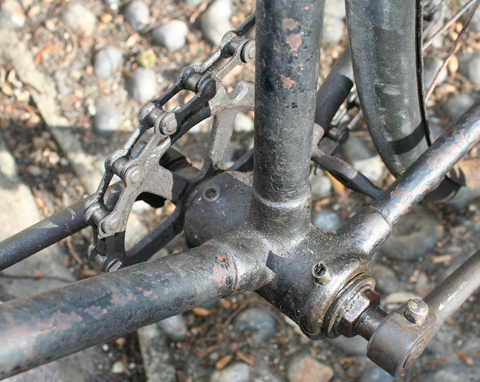 Most contemporary high wheeler riders, however, are starting to reach an age when they no longer wish to fall off! So safety bikes such as this one are now enjoying a renaissance.